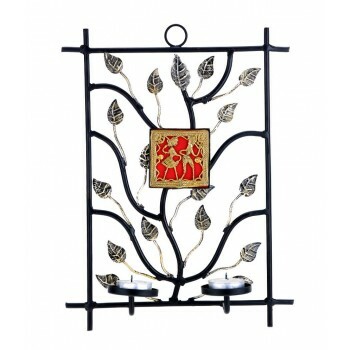 This rectangular wrought iron candle stand is beautifully crafted with a feel of tree branches. The dhokra plate in the middle enhances its beauty. 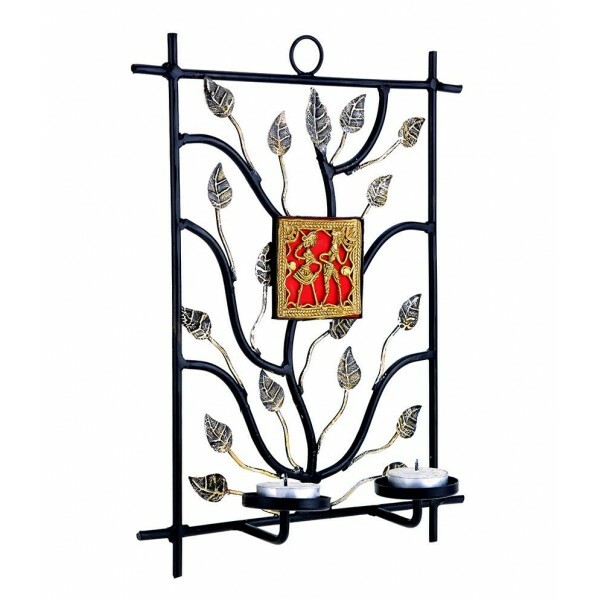 It hold's two tea light candles which when lighted would enhance the beauty of your wall. Set of 3 Rural Women..
Buddha Head with a T..